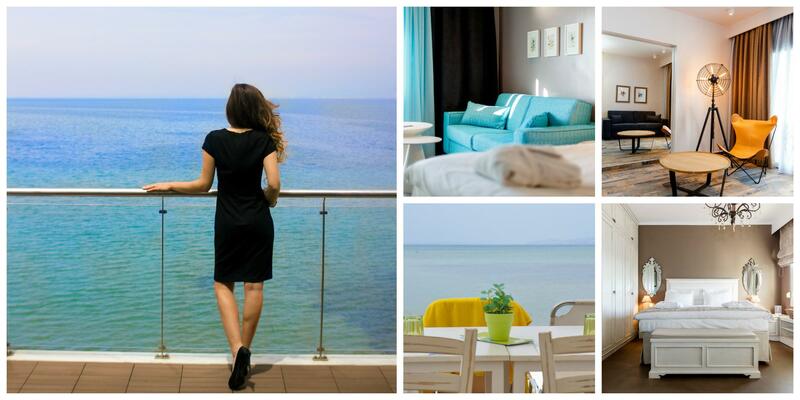 To Golden Star City Resort is a 4-star boutique hotel situated right on the blue flag awarded beach of Perea, just a few minutes away from the historic center of Thessaloniki. 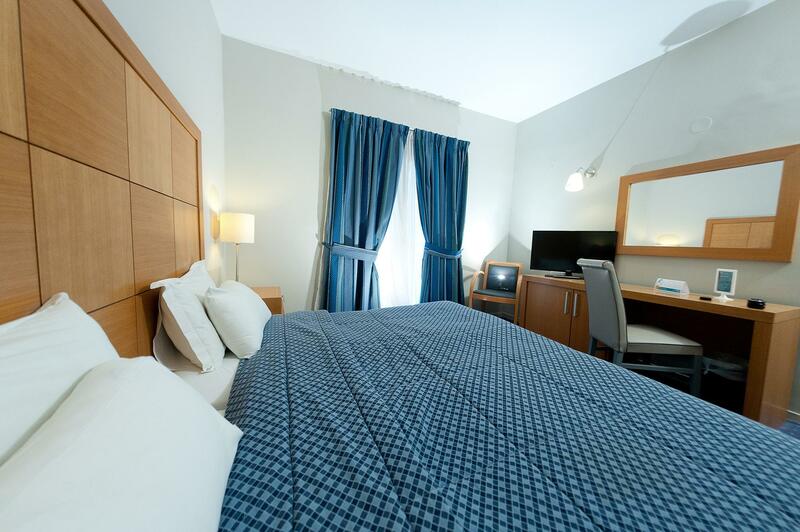 The hotel offers six different room types that promise to grant you absolute relaxation and serenity. 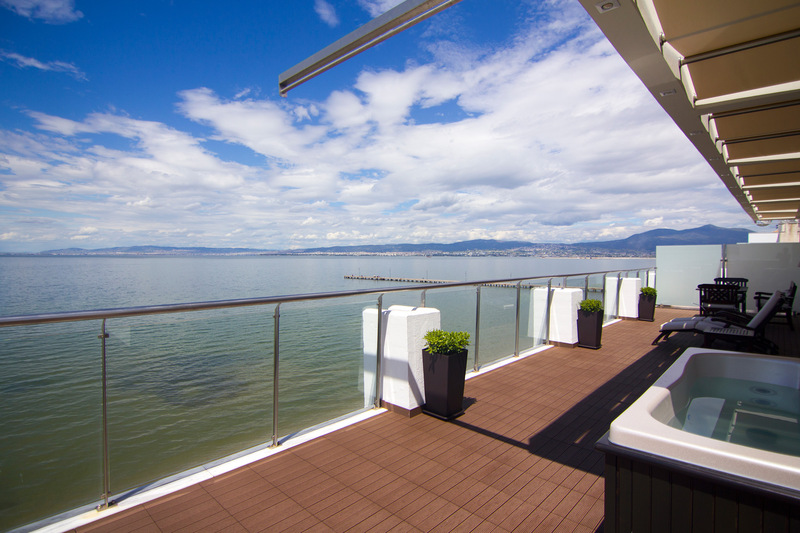 All rooms offer a wide range of facilities and services designed to exceed your expectations as well as to make you experience authentic Greek hospitality in Thessaloniki’s Riviera. We Greeks say that breakfast is the king of all meals. At Golden Star City Resort, having knowledge of all beneficial ingredients of breakfast, we offer a wide selection of Greek and Mediterranean products. Among them are included: the famous pies of Thessaloniki, the famous koulouri of Thessaloniki and, of course, a palette of handmade delicacies edited daily by our executive chef. 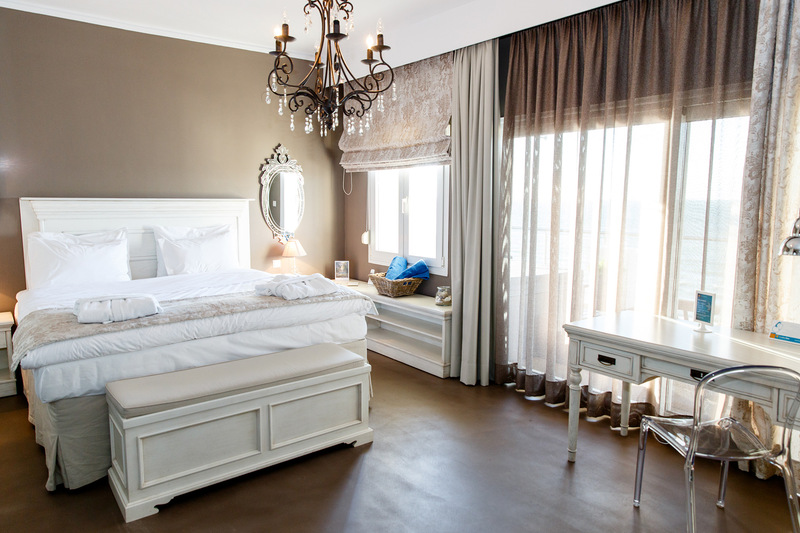 Particular emphasis is placed on sleep quality enjoyed by our guests as five types of rooms offer top sleep systems by the world famous company COCO-MAT in order to grant you the best sleep you’ve ever had! Our philosophy is simple as this: to give our guests more than they ask for so they return again and again to Golden Star City Resort. Therefore all guests enjoy unlimited Wi-Fi in all rooms and public areas including the beach, plus the best buffet breakfast in town and, last but not least, a welcome treat on arrival. Our fully equipped private beach is open during the summer months offering free sun loungers, umbrellas, fresh beach towels, locker rooms and showers. A lounge beach bar is also open with unique music selections inspired by the breathtaking sunsets of Perea. Our À la carte Scirocco Restaurant is the ideal choice of affordable luxury for business lunches and social events. The magnificent views over the Thermaikos Gulf and Thessaloniki city accompany ideally the dishes of its Mediterranean cuisine. Our à la carte restaurant Boukadoura located right on the beach is open from mid-spring to mid-autumn. Boukadoura à la carte restaurant invites everyone to discover the creative Greek cuisine offering delicious dishes at reasonable prices and offering unforgettable sunsets. Golden Star City Resort also organizes all kinds of social events among which are: marriages, baptisms, birthdays, anniversaries, cocktail party, gala dinners and commemorative events.